April 1. When people walked by Jesus being crucified, they saw the perfect fool. He imagined he was king, savior, Messiah. Now look! Crucified. A clear, humiliating refutation. His disciples felt they were fools too. 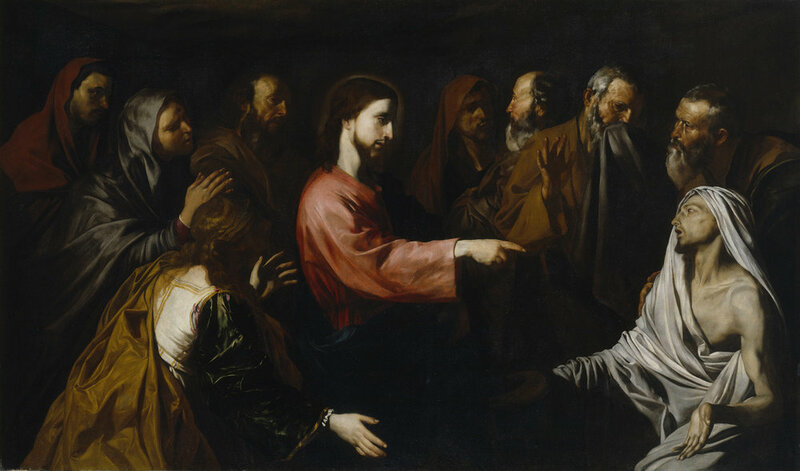 “We had hoped...” (Lk 24:21). But then, the women, that empty tomb! This text falls in an awkward place in the middle of one of the most famous narratives from the Gospel of John. We have before us a side conversation, and a cryptic one at that, as John is often want to do. Here Jesus offers John’s version of a most elemental metaphor for Christian faith and witness: the harvest. But as is often the case in the fourth Gospel, Jesus is here not just to communicate but to disrupt our assumptions, to jar our categories, and to enable us to reconsider God’s work in the world and our place in it. In other words, Jesus is concerned with nothing more than the revelation of the very nature of God in himself and his encounters with people, particularly those who are seeking some answers, some hope, something that doesn’t perish, spoil, or fade. Jesus in this engagement with his disciples is concerned that they have a change of vision, a change of priorities, a transformation on the way in which they engage with and perceive the needs of the people around them. But when you and I approach this text we do not come to it blindly, as if we are hearing for the first time. Neither do we come to it in a vacuum, as if what is really going on here has no bearing on this response that Jesus has to those closest to him. And what I want to explore are a number of ways that we have been misshaped to read this text, and the larger story that it is a part of, and more importantly how we have thought about our place in the world as the redemptive presence of God in a deeply wounded world. Amy Henegar shares a scripture reflection from John 2:1-12 at our monthly Saturday Evening Service. Reggie Jackson brings a message pointing to the church as the original “Community of Hope” found in the New Testament. Larry Mudd preaches on the importance and vitality of worship within the body of Christ.